Posted March 23rd, 2013 by Dan - TexCom Technical Operations & filed under Features, How To, Zones. Multiple Journals are great to separate discussions into different areas and different security settings for each. For example, one organization wanted to have a Equipment Journal used by everyone and an Officers Journal that was restricted for use by just the officers of the organization. This is now possible with this enhancement to the Daily Journal. 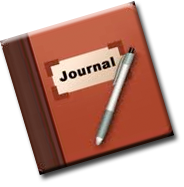 See our updated blog article detailing how you can set up your Daily Journals.